The vectors that Greater Los Angeles County Vector Control District controls are mosquitoes, midges and black flies. This is done by using an Integrated Vector Management (IVM) strategy that includes conducting surveillance, controlling sources and vectors, and public education. The result is a healthier community with a lower risk of disease outbreaks. What diseases can mosquitoes spread in L.A. County? 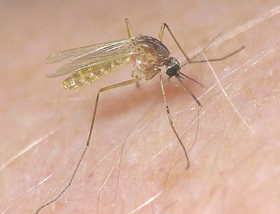 Are mosquitoes, black flies, or midges bothering you? You can do something about it! Report your issue HERE. You can choose to remain anonymous.